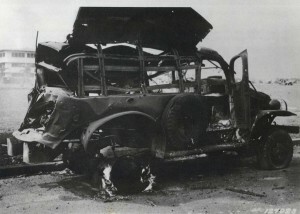 Heavily damaged truck at Hickam Field parked next to parade grounds with big barracks in background, December 7, 1941. 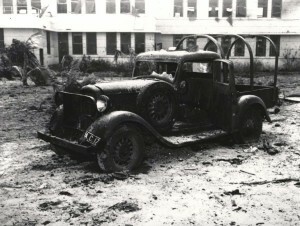 Air Corps pickup truck parked outside guard house at Hickam Field was heavily damaged, December 7, 1941. 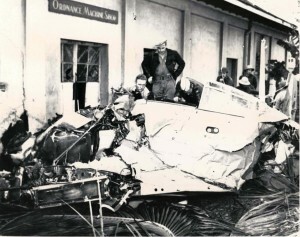 Moving vehicles were prime targets of Japanese strafers. 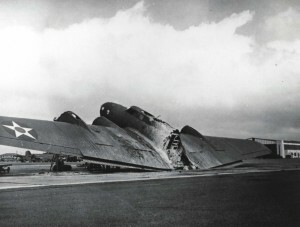 B-24 assigned to 1st Photo Group, 44th Bomb Group, arrived at Hickam Field on December 5, 1941 to have guns installed prior to continuing to the Philippines to fly reconaissance missions. 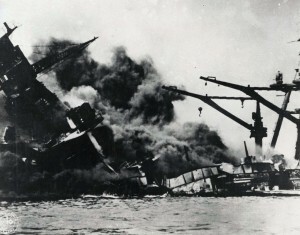 It was strafed, burned and destroyed on December 7, 1941. 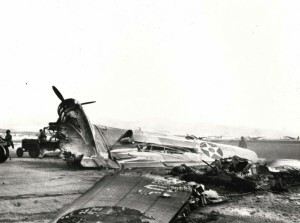 B-18 bomber was wrecked by Japanese at Hickam Field, December 7, 1941. 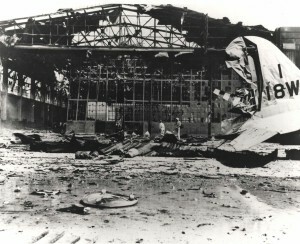 Plane was damaged inside hangar at Hickam Field, December 7, 1941. 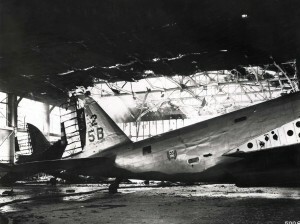 B-17C which arrived at Hickam Field from Hamilton Field, California in the middle of the December 7, 1941 attack. 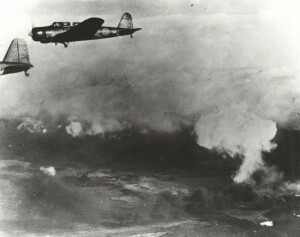 A strafing Zero hits its flare storage box, igniting the flares and causing aircraft to burn in two. 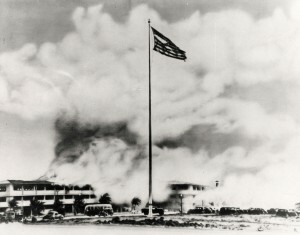 Flag still flies during bombing of Hickam Field, December 7, 1941. 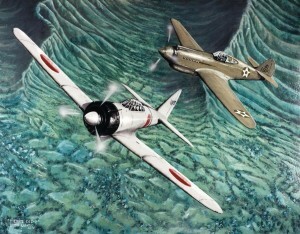 A -40 Warhawk pursues a Japanese A6M2 Zero-sen fighter on December 7, 1941. Artist TSgt. Bryan Lopatic. 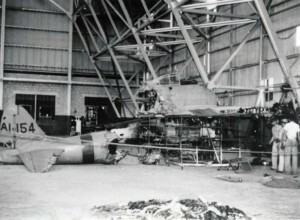 Japanese zero sits in Hickam Field hangar after it was shot down at Fort Kamehameha on December 7, 1941. 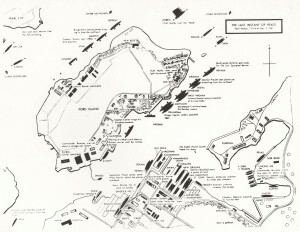 Kaneohe Naval Air Station, December 7, 1941. Last second of peace, December 7, 1941, Pearl Harbor. First bomb drop at Pearl Harbor, December 7, 1941. 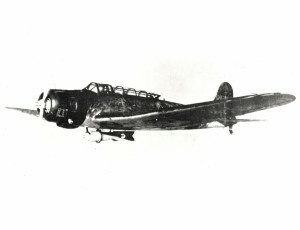 Japanese Nakajima B5N Type 97 "Kate" high level attack bomber. 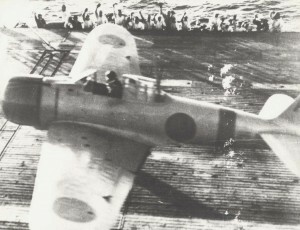 On December 7, 1941 this Akagi-based aircraft carried a torpedo. 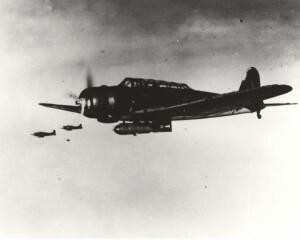 B5N2 aircraft from Japanese carrier Iryu that bombed Hickam Field and Pearl Harbor on December 7, 1941. Japanese aircraft on mission to attack Pearl Harbor, December 7, 1941. 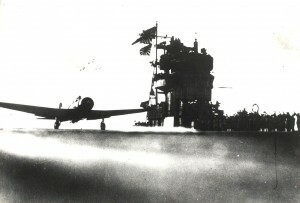 Japanese aircraft launch from carrier, December 7, 1941. 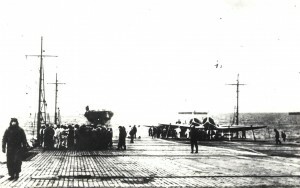 Japanese aircraft launches from carrier on December 7, 1941. Japanese aircraft prepare to launch from aircraft to bomb Pearl Harbor on December 7, 1941. 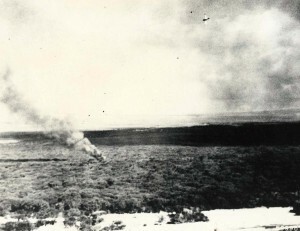 A downed Navy Scout Bomber Douglas (SBD) burns in Ewa as Japanese planes fly overhead, December 7, 1941. 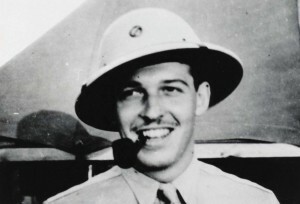 Pvt Lockard, young Signal Corps member, was on duty and in charge of the SCR-270-B radio set at the Opana site on Oahu when the Japanese launched their attack on December 7, 1941. 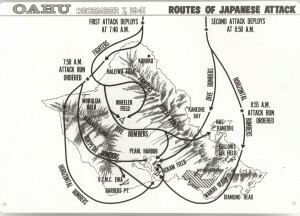 Routes of Japanese attack on Pearl Harbor, December 7, 1941. 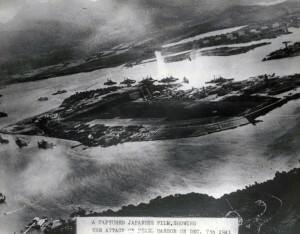 Pearl Harbor under attack by Japanese bombers, December 7, 1941.